The tomatoes I started are leaning…actually, they are bending over in the pots. 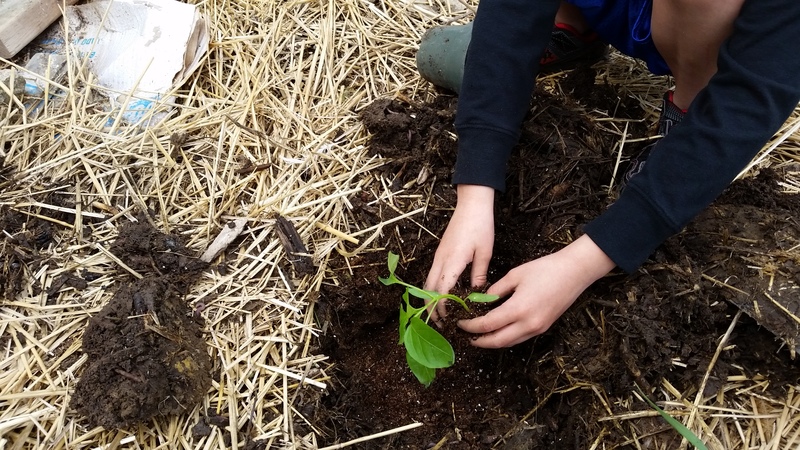 Rather than transplant them yet again, we planted them in the kitchen garden today. The boys were a big help. 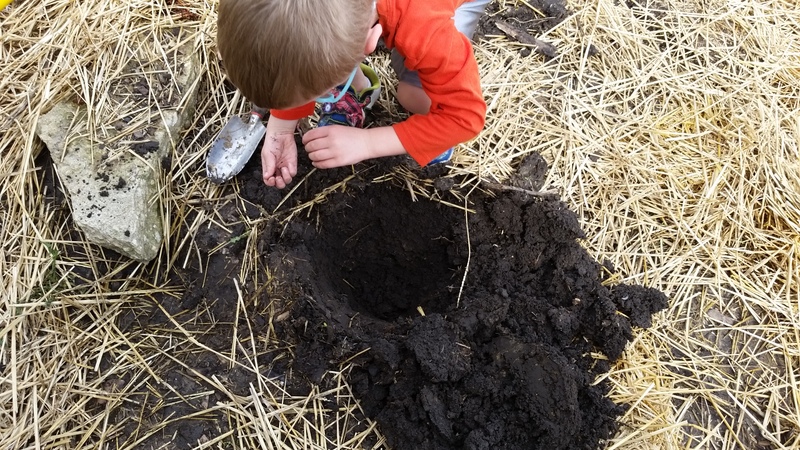 They love to plant, dig for worms and play in the dirt. This was also an excellent opportunity to talk about life-cycles and the importance of healthy soil. 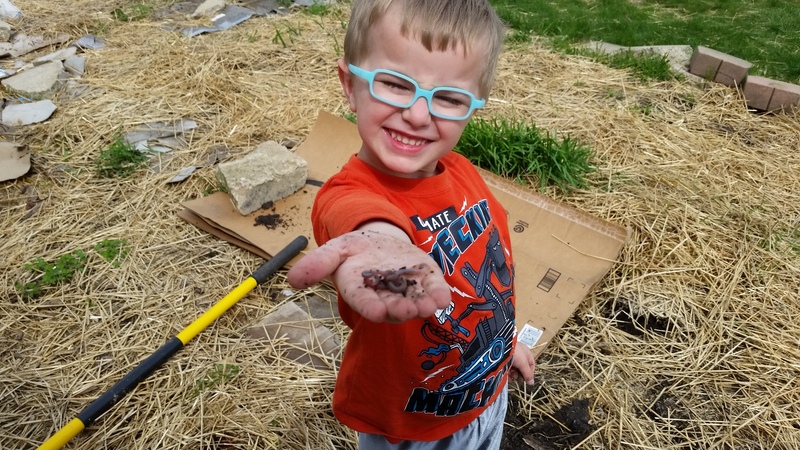 Jake found a bunch of worms and wanted to build a worm home and keep them…inside. We talked about how worms are a sign that the soil is healthy. 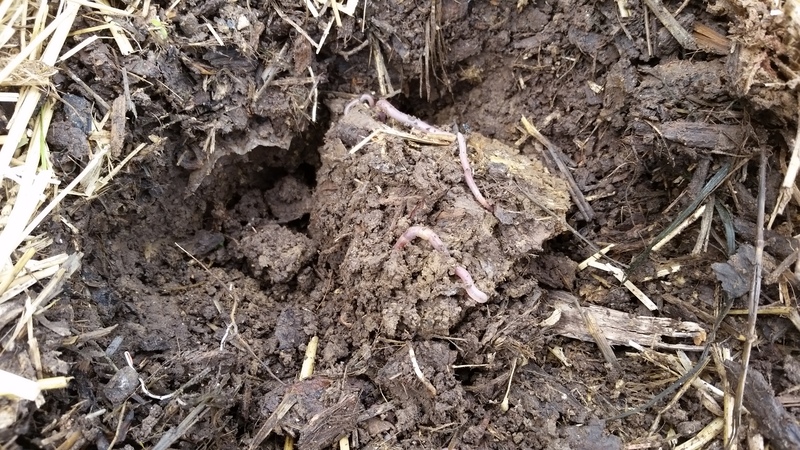 Worms break up the soil so the roots can grow and their castings are a great fertilizer. “What are castings?” asked Joe. As you can imagine, that got a few giggles. At least 5 worms were in every shovelful of rich, black dirt. The squirmy, wiggly worms told the story of the chickens scratching and fertilizing their way through the garden. Both boys worked hard at digging their holes. Joe planted two peppers and Jake and I planted three tomatoes. I pulled the squash arch out and put it closer to the deck this year. 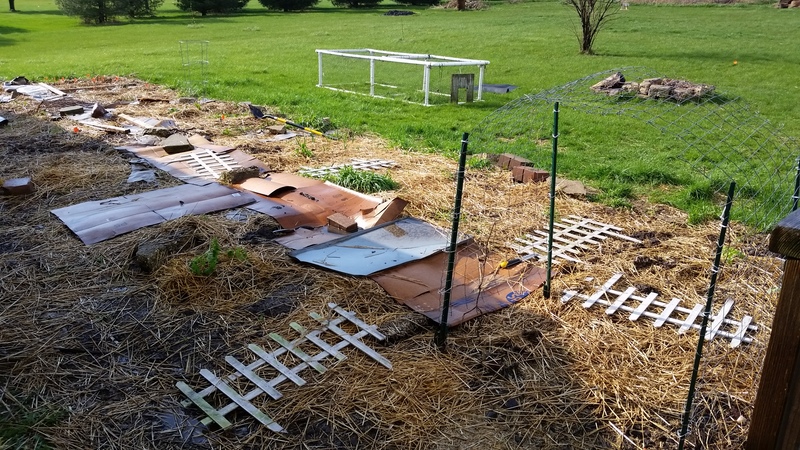 I also lined out my paths and will come back over the cardboard with wood chips once the ground dries out a bit. This is our garden so far. Doesn’t look like much does it? A few chives, some tomatoes, two lovage and a couple of pepper plants. We’ll plant more next week, and the week after. By June, this space will be lush and green and, with any luck, starting to produce. 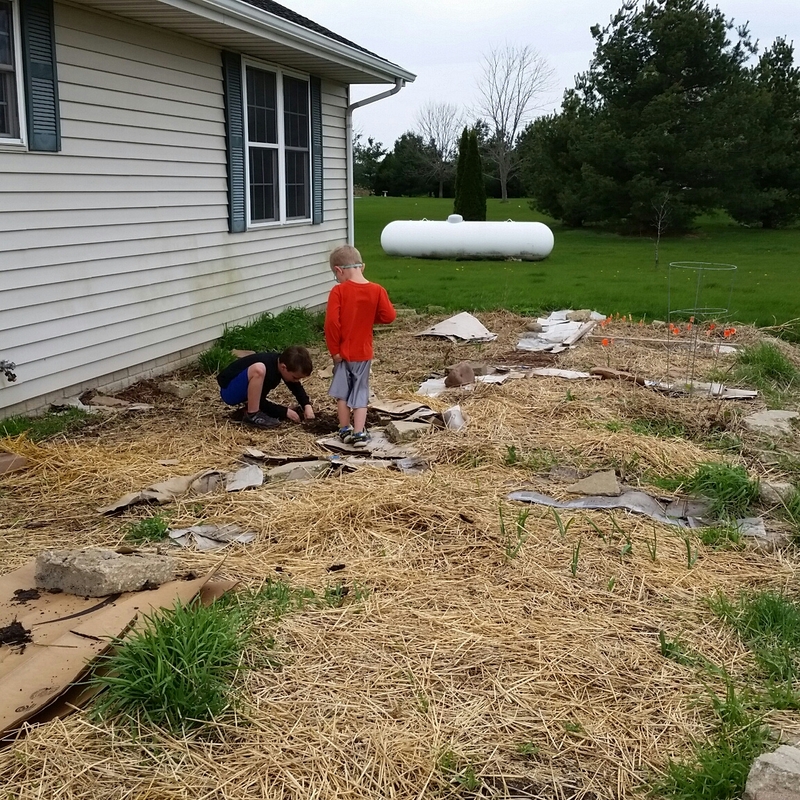 This entry was posted in A to Z Blog Challenge, Education, For the Kids, Garden Stories, Homeschool. Bookmark the permalink.